15% of adults in America have some level of hearing loss that is detectable. This may come as a rude awakening for some. Don’t panic, hearing loss doesn’t have to mean a drastic change in how you experience life. The first step to overcoming hearing loss is to learn more about how it happens and ways in which to treat it. Hearing loss spans a number of different categories and causes. We’ll go over the most common hearing loss causes. For the sake of this article, we’re going to be talking about hearing loss that occurs in adults. It is worth noting, however, that many children are born with different forms of hearing loss. As much as 2 to 3 children for every 1,000 births in the country have a form of hearing loss. 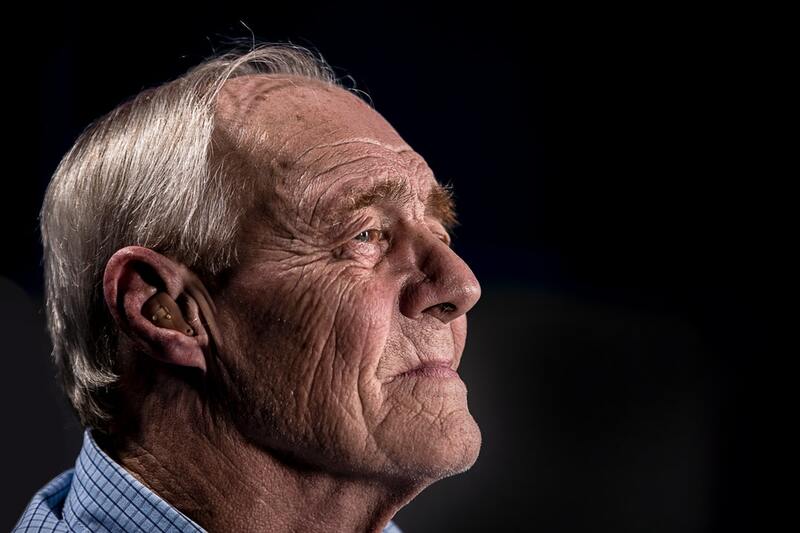 For the most part, hearing loss is something that comes with age. You’re not supposed to start seeing large drops in hearing capacity until you reach your senior years. Of course, there are a number of ways in which the ears can “age” faster than usual. Hearing loss comes gradually or all at once, depending on the cause. Hearing loss in adults, namely young adults, usually happens as a result of lifestyle choices. Some of these you’ll know, while others are a bit more uncommon situations. “Turn that radio down! You’re going to blow your ears out.” Moms and dads around the world have uttered this warning in some form or another. What they say is absolutely true, of course. Apply this same principle to standing next to the speaker monitors at a concert. Those front row seats also come with the added expense of your hearing. As you expose yourself to these different forms of loud noise, you’ll gradually need to speak louder, turn the music up louder, which results in more hearing loss. Boxers often suffer major hearing loss, if their career is over a period of years. The repeated blows to the head and ear can rupture the eardrum itself. Depending on the direction and how hard hits are landed, the three bones that help produce sounds could get shifted out of place. The result is having muffled hearing, low hearing, or partial hearing. Nerve damage around the inner ear is also possible with a head injury. Have you ever noticed that when you’re sick, your hearing is either too sensitive or muted? This is caused by inflammation around the ear canal. When you get a full-blown ear infection, this inflammation spreads to the middle of the ear and possibly further. Severe ear infections may cause hearing loss if left to fester. Only antibiotics can save your hearing from being permanently lost. This is the official term for natural causes of hearing loss when we get old. An easy way to tell the difference between this type of hearing loss and others is that it happens slowly and equally in both ears. By the time we reach our 70’s, half of us will have notable hearing loss. The first things that start to become really difficult to hear are birds, broken glass, and bells. High frequencies go first, which makes parts of conversations difficult to follow. The whisper sounds of “s”, “t”, “f”, and so forth get harder to pick up. A lot of people don’t notice these deficiencies and may not realize they have hearing loss problems. As we mentioned earlier, there are a lot of children born with hearing loss. Sometimes these hearing defects aren’t recognized during childhood. It may take until young adulthood before these hearing difficulties are highlighted. It is said that half of all congenital hearing loss cases are genetic, not biological. Plus, 90% of children born with hearing loss issues come from parents with no signs of hearing loss. There are child borne diseases that also cause hearing loss at childbirth, such as rubella, herpes, syphilis, and toxoplasmosis. Babies that are considered preterm also carry a higher risk for hearing defects. Lastly, the least reported form of hearing loss in adults is damage caused by prescription drugs. The drugs that put you most at risk are antibiotics, chemotherapy, and hypertension. Radiation therapy puts patients at high risk for all infections, not just ear infections. The hearing loss caused by these drugs may be temporary if the medications are stopped. When we talk about treatments for hearing loss in adults, we mean stopping, preventing, and managing hearing loss. There is no way to reverse hearing loss unless it is only temporary damage. The treatment plan with the best results for all cases of permanent damage is changing the environment and the use of hearing aids devices. Cochlear implants can give a new lease on life for those with severe cases of hearing loss. Because they can barely hearing, or perceive no sounds, the implants may allow speech and communication to return. Deciding on which is the best option for you starts with professional consultation and examination. You should know that just because you suffer from one of these hearing loss causes, it does not mean you have to live a sub-standard life. There are great resources and technological advancements that have minimized the burden of early hearing loss in adults. Learn more about these advancements in hearings by clicking here. There is hope, there are options, and you can restore the hearing you have lost.